This site is very much a work in progress! Leonid “Leo” Hurwicz was born on August 21, 1917, in Moscow, Russia. 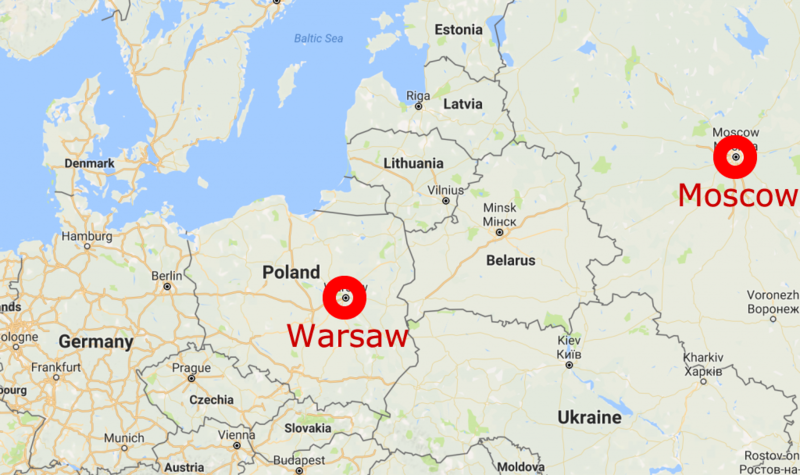 Leo’s father “Adek” and mother “Zina” (Sophie) had fled Warsaw to escape the instability and danger that World War I brought to Poland. A family story has it that, while in Moscow, Adek’s father Max pronounced Leo a “chochem” (Hebrew or Yiddish for “a wise one”). 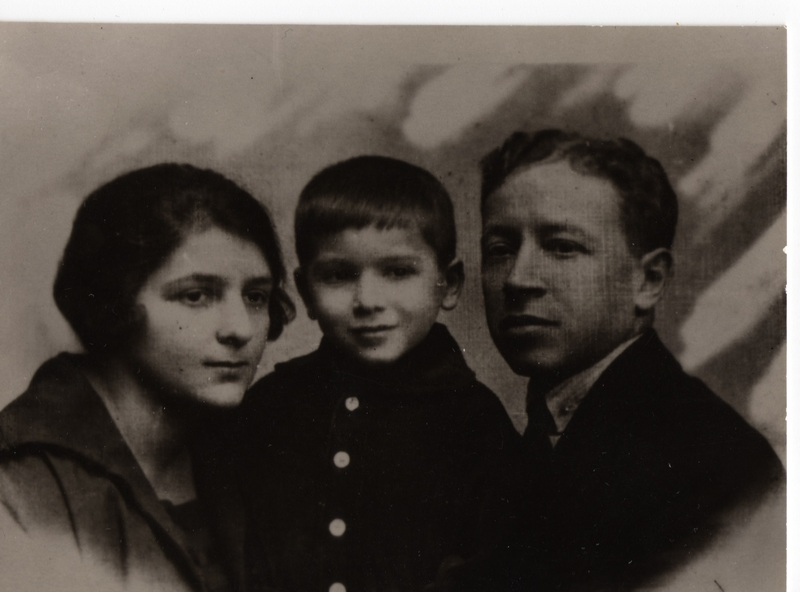 Since Adek, Zina and Leo returned to Warsaw early in 1919 (probably February), Leo would have been less than a year and a half old when this statement was made. Max was right: Leo would go on to give the world novel concepts and frameworks still used today in fields from economics to social science to political science and even data networking (for problems like interdomain routing on the internet). These frameworks include incentive compatibility and mechanism design. In 2007, he received the Nobel Memorial Prize in Economic Sciences (along with Eric Maskin, and Roger Myerson) “for having laid the foundations of mechanism design theory“. (He was at the time – and may still be – the oldest person ever to receive a Nobel Prize in any category.) He was also among the first to recognize the value of game theory in economics, and pioneered its application in that field. One of his earlier contributions, presented in an article 1951, was the Hurwicz Criterion, which offers a formula for balancing optimism and pessimism when making decisions under uncertainty. The picture below shows Leo with his parents. 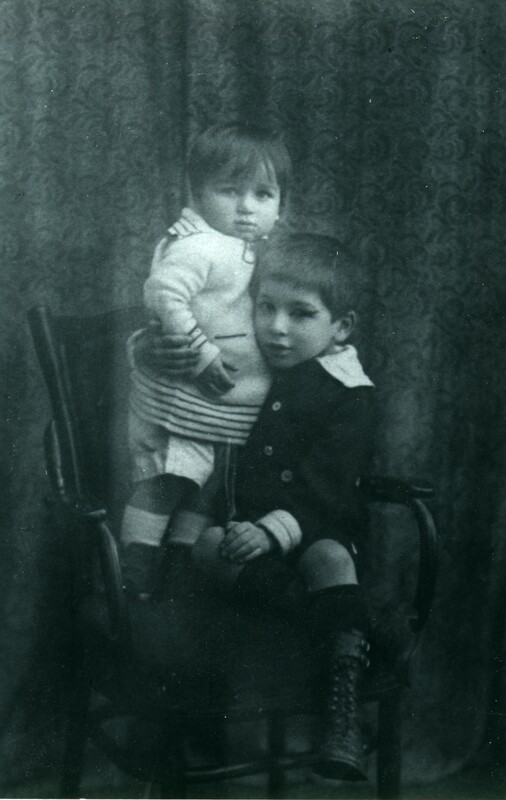 The fact that Leo’s brother Henry is not in the picture suggests that the photo was taken before 1922, when Henry was born. If so, Leo might have been four or five years old. Leo was tutored by his mother at home until he was nine (not an unusual practice at that time). After that he attended a Jewish school, conducted in Polish, possibly the same type of chinuch (חינוך) where Leo’s father, Adek, had taught history 10-15 years earlier. At the same time, he attended the Warsaw Conservatory as a piano student. (“I was running like mad,” he has been quoted as saying.) Music was an avocation that he continued to pursue throughout his life. In order to get his law degree, Leo had to take some economics courses. The Great Depression, which had begun when Leo was just 12 years old, was still in full swing. So economics was, perhaps more than usual, at the forefront of current events. Other economists, such as Ludwig von Mises (and later Friedrich Hayek), maintained that free markets were inherently superior to planned economies. Also debated was the potential for the gold standard to further contract the money supply: If citizens, fearing currency devaluation, redeemed gold certificates for gold bullion, the resulting reduction in a government’s bullion reserves precluded any increase in the money supply, because the government wouldn’t have the gold to back it up. Leo, drawn to these questions, decided to go into economics rather than law. At least in part because of rising antisemitism in Poland (something that Leo had experienced at Warsaw University), Leo’s father encouraged him to apply to the London School of Economics as a PhD candidate. Interestingly, Henry, in his Shoah Foundation testimony, explains that anti-semitism also played a role in allowing my father to leave Poland. Normally, a young man of his age could be drafted into the Polish infantry. However, high school graduates could not be drafted into the infantry but had to go to officer’s school. But instead (apparently because they didn’t like the idea of Jewish officers) they always counted Jews as supernumeraries. 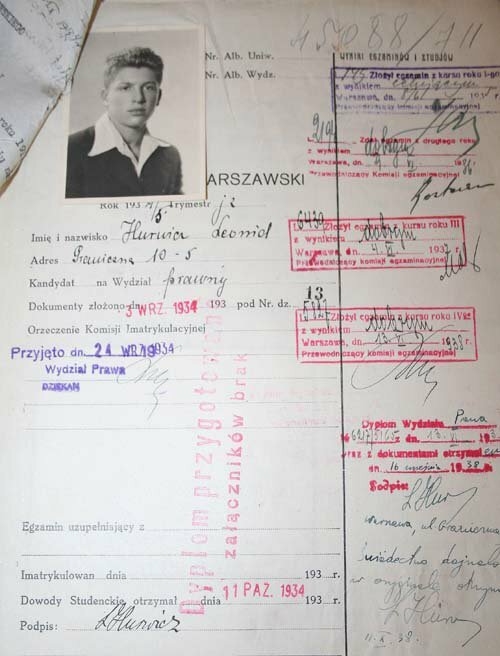 Thus, my father was excused from serving in the Polish Army. “The ideas of Hayek (whose classes at the London School of Economics I attended during the academic year 1938-39) have played a major role in influencing my thinking and have been so acknowledged,” Leo wrote in “Economic Planning and the Knowledge Problem” : A Comment” in Cato Journal Vol. 4, (Fall 1984), p. 419. As Leo recounts, “I started out in the fall quarter of 1938 at the London School of Economics, and the war broke out a year later, roughly. 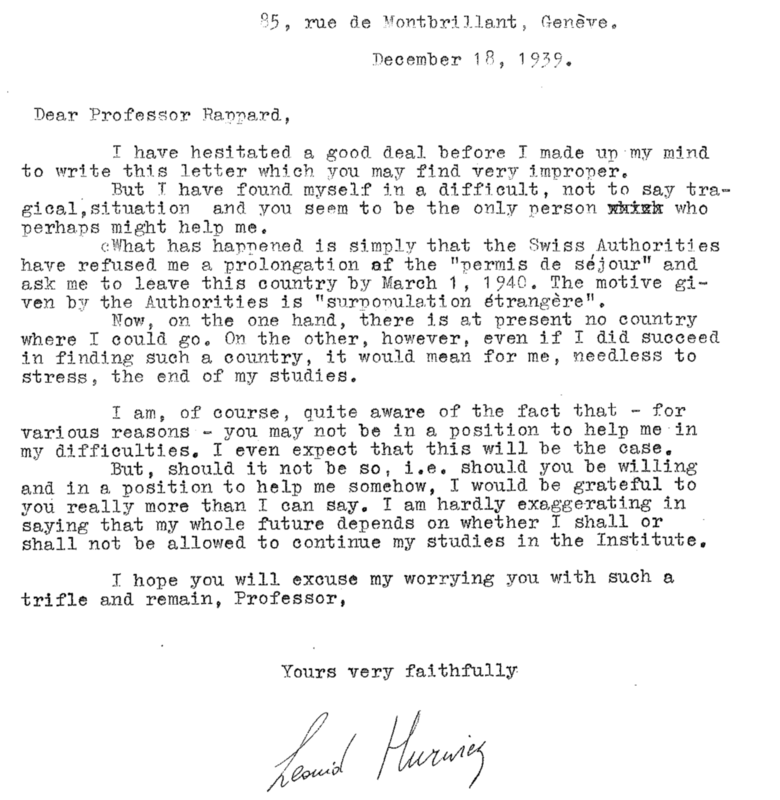 When the academic year 1938-’39 was ending (so, roughly speaking, May or June) I asked the British to extend my visa, which was only for one academic year. But they said they couldn’t do it, because my passport was only valid up to the end [of the academic year]. They said I had to extend the passport, and then they could extend the visa. Well, the Poles were making difficulties with extending the passport. So I tried to get the British to permit me to stay a little longer. But they said that was not their custom. By that time I knew enough about the British, [to know that] when they say it’s not their custom, if you stand on your head, they won’t do it. Continuing Leo’s narrative: “So, I got transit visas through several countries, one of which was Switzerland. The first thing I did was to go to Paris. And I stayed in Paris for a couple of weeks, maybe a month, of the year 1939. “And one day in August, close to my birthday, there was the big news, the Ribbentrop-Molotov pact, the agreement between Stalin and Hitler to divide up Poland. I was at that point in Paris. I took the first train to Bern. That was very good, because otherwise I would have been caught in France under the Nazis. I really, as usual, paid attention to the headlines. When I traveled from Paris to Bern, I remember the blue lights inside the train: They didn’t have any real light you could read in, because there was conviction that the war would break out without much delay. “The first few days of the World War II, I was in Bern, which is the capital of Switzerland. And on the second or third day, but I think the second day of the war, the second of September, 1939, I got a telegram from my father. It said something like ‘We are OK.’ (Actually it was a lie, because there was bombing all over Warsaw, the Nazis were attacking.) But then what it gave was the address of the Kotzins in Chicago: 3605 Dickens Avenue. In Geneva, he enrolled at the Graduate Institute of International Studies. Now, as Leo was well aware, the Swiss wanted to reduce the foreign population in their country. In fact, the authorities had refused to extend his permis de séjour (residence permit) in December due to surpopulation étrangère (excess foreign population). He had appealed to the Director of the Institute for help (see his letter elsewhere on this page), apparently successfuly, since he managed to remain until June. A minor aside: Assuming Leo composed this letter himself, his English now seems to be excellent. One hint that he may have indeed composed it on his own is the strikeover near the end of the fourth line. He seems to have initially started to write “you are the only person which can help me” but amended it to “who can help me”. “I went to the office of the chief of police in Geneva, and I said if I don’t get something like that from the British, I will not be able to emigrate to the U.S., and I’ll be a burden on the Swiss taxpayer. Once he had his visas, it would seem that Leo departed with all due haste. He did not wait to get most of the paper certificates that would provide proof of the courses he took. Instead, he asked the Graduate Institute to mail them to him in the United States. They were indeed sent on June 20, care of an American he had no doubt met in Geneva, Miss Eleanor K. Taft in Cinccinnati, Ohio. Leo flew from Switzerland to Barcelona, and then went by train, first to Madrid, then to Lisbon, Portugal. The scariest part of this journey, Leo said , was taking off from a mountainous location in eastern Switzerland, most likely Locarno. Continuing Leo’s narrative: “At some point the Kotzins sent me some money, after I lost my wallet in this post office. And I bought passage on an Italian boat. I already had the visa. This was early June. And just at that time, Italy joined Germany as partner in the war. So, of course, they couldn’t operate ships between Europe and the United States. So I was stuck again without money. I couldn’t ask Kotzins for money a second time. “So I essentially used a similar technique. I was in Lisbon already by that time. I got that far. First I went to the Italian shipping lines and I asked for my money back. They just laughed at me. They said, ‘Yes, you are an enemy, and come back after the war.’ That was not a good solution. Then I went to the harbor police, and essentially I used a variant of my trick in Geneva. I explained to them, that if I cannot go to America, I cannot work in Lisbon, I’ll be a public burden. Leo stayed in New York for a week or so, then continued to Chicago, where he slept on the couch at Helen Frydland‘s apartment. Helen was the sister of Sara Lea, wife of Max. Helen and her husband Moritz had emigrated from Poland around World War I, initially to Canada. (Moritz went to Canada initially in 1912, returning to Poland for his family in 1920.) Moritz died in 1927, but Helen lived until 1953. By the time Leo arrived, she had moved from Canada to the United States. Leo gave Rhoda Kotzin, Helen’s granddaughter, piano lessons. She was about seven at the time. He also began attending classes at the University of Chicago, most importantly those of Oskar Lange, who provided a counterpoint to the anti-socialist arguments of Hayek and Mises. Samuelson was known for his “conviction that … economics had much to learn from physics and the laws of thermodynamics.”  So touting Leo as a “theoretical physicist” was probably a good move from a marketing perspective. Apparently, there is some disagreement about exactly what Leo did during this short tenure at MIT. His Nobel biography says that he “tested a hypothesis about how businesses arrive at prices for their goods and services.” That was Leo’s memory, according to Samuelson biographer Roger Backhouse, but “Samuelson remembered Hurwicz as having worked explicitly on the business cycle: ‘We did early spectral analysis of Frickey’s aggregate U.S. output for the time slot 1865 – 1935.’ Samuelson wrote.”  Backhouse also wrote about what now seems a somewhat humorous incident, though at the time it seemed it could threaten both Leo’s and Samuelson’s futures! It involved a modification to the grading system, apparently at Leo’s suggestion, in which a difficult question was added to the exam, which could only raise, but never lower a student’s grade. However, students apparently were competitive with one another to such an extent that any student’s raised grade effectively lowered everyone else’s (at least in their estimation). The new system was very unpopular, as were those who were held responsible for it (Leo and Samuelson). Leo returned to Chicago in mid-June, 1941, with improved prospects now that he had worked for Samuelson. In July, 1941, Leo was hired as a research associate at the Cowles Commission. He continued in this position until June, 1946. He continued serving as a consultant to the Commission until 1961. The Cowles Commission was instrumental in pioneering an analytical, mathematical approach to economics. It was also around this time, probably in August or September, 1941, that Leo got a postcard from Henry and Zina in Kutaisi, Georgia, and a telegram from Adek in Fergana, Uzbekistan, and was able to help them reunite in Georgia. From 1942 to 1944, at the University of Chicago’s Institute of Meteorology (or, after 1943, the Department of Meteorology), Leo contributed to the war effort by teaching prospective Army and Navy inductees the statistics, mathematics and physics needed to analyze weather data generated by the newly-invented radar. Sight unseen, he hired economics undergraduate Evelyn Jensen as an assistant for the meteorology course. They fell in love and were married on July 19, 1944, in a traditional Jewish ceremony. They had four children: Sarah (1946), Michael (1949), Ruth (1951) and Maxim (1953). 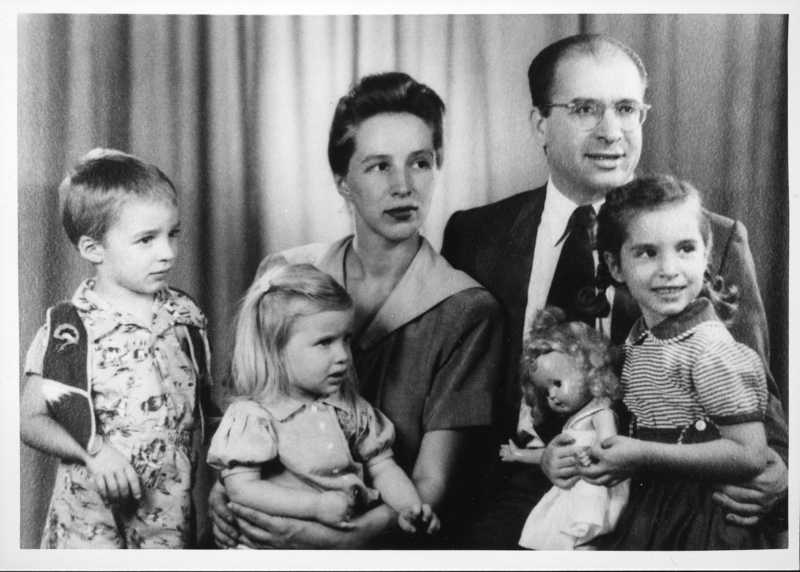 The picture below shows the family, probably in around 1952, judging from the fact that Maxim is not in the picture yet. Awards information from “Intelligent Designer,” in Minnesota Economics, Fall 2006.